Redwood burl wood has a unique and beautiful pattern, and is highly desirable for making one-of-a-kind furniture and art pieces. It may not be surprising that there are burl poachers who steal burl wood by cutting it from live trees illegally, to later sell it. This practice is very harmful to live trees and can kill them. The removal of a burl from a live tree lets disease and infection enter. This adds stress to the tree’s life and can lead to its death. If large amounts of burl are removed, the tree may become “girdled,” which means the bark is removed in a belt all the way around a tree. This also leads to the death of the tree. It’s important to know where your burl wood comes from. 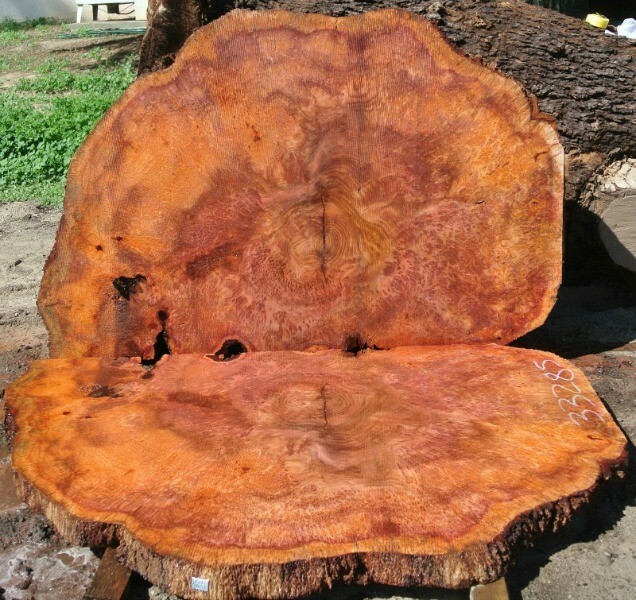 When you are buying redwood burl, make sure to ask the seller where the wood came from. At Hunski we know the story of every every tree, every slab, every log, because we harvest them ourselves. Our wood comes from salvaged and reclaimed trees, and is harvested in the most eco-friendly way possible. Our forests give us a glimpse of a timeless ecosystem. Redwood burls represent the future of the forest, with the potential for the redwoods to thrive for thousands of years to come. If we carefully protect the redwood forests, their time on earth will be long. Learn more about redwood burl here.